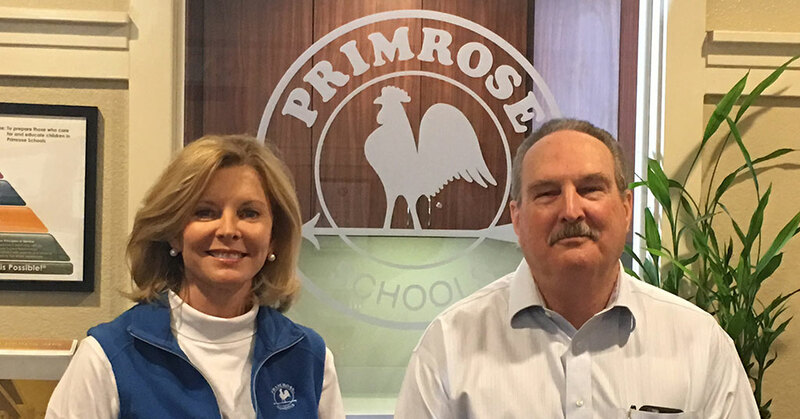 When Hurricane Harvey devastated Greater Houston in 2017, staff and management at the local Primrose Schools leapt to the aid of area communities--without being prompted by franchise owners Lou Ann and Michael McLaughlin, who were dealing with flooding at their own home. Ultimately, the couple would be instrumental in orchestrating a myriad of assistance to affected families, even transforming one of their schools, located just 200 feet from the floodwaters' edge, into a temporary emergency relief facility and staging area for water rescues. Team members were simply following the lead and example set by the McLaughlins, operators of eight Houston-area Primrose Schools, and the 2018 recipients of the Influencer for Husband & Wife Team MVP Award. Whether serving children, parents, or the community, the couple's reputation for doing good is well-established. Michael was the first Jack in the Box franchisee in the Houston market, selling his stake in the successful operation in the late 1980s. Their decision to invest in an early education and child care brand a decade later was the perfect way to marry Michael's love for business development with Lou Ann's passion and lifelong experience in early education. The couple have been business partners for nearly half of their 44 years of marriage. "Working together has made our relationship stronger," says Lou Ann, who spoke with us for this MVP profile. "Partners in business must communicate. It turns out that communication is also a key for a successful marriage! Who knew? We talk about everything, my operations work and Michael's development work. We don't always agree on business decisions, but we have learned to work through our different approaches to problems and to listen to one another. It has worked well for us." Michael has always possessed an entrepreneurial spirit. After attending business and law school and practicing for several years, he turned his interests to commercial real estate and business development, but Houston was in a recession in the 1980s. 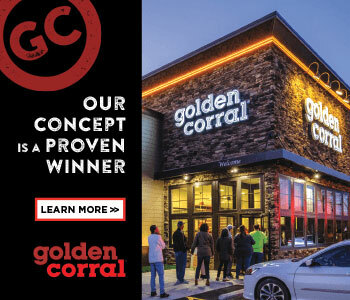 He'd learned about the franchise model as a vehicle for associating a business with a successful brand and began to explore an opportunity to purchase and build Jack in the Box restaurants. He was the first Houston market franchisee, successfully operating a portfolio of restaurants until he sold his interest in the late 1980s. My formative background includes an education degree and teaching experience, which led us to explore franchise opportunities in early education and care. We opened our first Primrose School about 20 years ago in the Houston area and have since opened additional schools. Our decision to work with strong brands owned by companies that possess an exciting mission and vision has driven our multi-unit success. My degree includes a specialization in early childhood education. I taught kindergarten and all elementary school grades in both public and private schools in Texas and received a master's degree in education administration from the University of Houston. I am also a state-certified preschool director and master trainer with the Texas Early Childhood Professional Development System. I am proud to have served on numerous AdvancED accreditation committees and currently sit on the Texas AdvancED Council, which represents early childhood interests in our state. I also sit on the Primrose Schools Advisory Council, and my husband and I are proud recipients of the Primrose Schools President's Award for outstanding achievement. We also consider our MVP Influencer Award for Husband & Wife as a key accomplishment. We especially enjoy the work we do with The Children's Fund in Houston, which supports small charities serving children in need. Mine is spent in our schools meeting with parents, mentoring teachers, working with campus management, and playing with children every day. I find technology useful for gathering together teachers, support staff, and leadership team members for short video conferences to address issues important to the successful operation of our schools. I especially enjoy meeting with young parents facing the typical parenting issues and challenges that we, as parents and grandparents, have faced ourselves. Michael's week is spent addressing business issues and developing our new schools. As a grandmother to five and career educator, I find myself reading parenting books all the time. But right now I am reading Learning Contentment by Nancy Wilson. Approach each day with joy! Michael and I try to live each day with joy in our hearts, and we encourage our leadership team and teaching staff to do the same--to share in the joy and happiness of working with children. You can capture the beauty of this world through a child's eyes. I'm truly passionate about developing leaders and about the important role of mentorship in our schools. I like to say, "All our employees need is a teachable spirit," because we provide the tools to make them successful. With everything we do, we seek to develop high-trust relationships with our stakeholders: our employees, parents, the children entrusted to our care, lenders, and members of the communities we serve. This commitment is the foundation for all of our decision-making. Servant leadership is at the core of how we manage our business. Michael and I work alongside our campus management, teaching staff, and support staff. We will not ask our staff members to take on any work we have not done ourselves. This promotes a shared sense of purpose. As we have moved from one location to eight, and especially looking forward to many more locations, our greatest challenge is continuing to deliver The Primrose Experience in multiple locations. We serve more than 1,500 children and employ more than 350 teachers and support staff, so we have a tremendous responsibility to ensure they all are well trained and operating our schools as if we were still owners of only one location. Our teaching staff members are our heroes. They deliver the curriculum and programming we promise parents every day on our campuses. We see our primary responsibility as preparing and supporting them for success. Many people say we work too hard! I hope they will also say it is obvious that we love what we do. We have a sense of accomplishment when we look back at the number of lives we have influenced, especially the number of parents and children whose lives have been affected by their experience in our schools and the care we have taken to serve their needs. Primrose Schools has excellent recruitment and retention tools we faithfully employ. Many of our teachers and leadership team members have been with us for more than a decade. My goal is always to recruit the best and most talented teachers, which means we're always hiring and training. We now have a senior staff member responsible for training our staff. We also have an instructional strategist who ensures we are using best practices in implementing the curriculum and programming at all our locations. We believe that these "specialist" positions are important to the success of our schools. We want our teaching staff to know they are part of an important profession, and that there is value in providing high-quality early education that will shape our future leaders. We plan to open two additional schools in 2018, one in Albuquerque and one in Midland, Texas. We also will open our first employer-sponsored school on an employer's campus this year. We have also begun the development process to open an additional school in Albuquerque in the first half of 2019. With this expansion planned, we are focused on strengthening our senior leadership team and providing more training and support. Our primary one is school enrollment. We track many different data points throughout the year, but enrollment growth helps us gauge our success. In 5 years, we hope to have an additional seven or eight schools open, and to have expanded to another market (in addition to Albuquerque and Midland). In 10 years, we hope our focus on leadership development will have paved the way for a team that can continue to develop and operate new schools while maintaining the standards and high quality Michael and I value so much. Preparing our teaching and support staff for success and retaining our staff is a key to our business success. Many of our employees have earned certificates, degrees, and accreditations while working for our schools, and we are proud that many of our team members have worked in our schools for 10 years or more. We believe the many long-term career commitments our employees make result from them having a sense of purpose in our mission. Our exit strategy is focused on building our business into a sound and successful mid-market business with the skills and tools to both develop and operate Primrose Schools at a high level, which business investors and operators would find to be of value. We have confidence in the ability of our senior leadership team to carry forward our vision for the continued successful development of the business. Our skill sets are very different, but they complement one another. Michael and I make a strong team. He has a sharp business sense, and I am the go-to encourager. That combination has made us successful in the eyes of our staff and customers, and has given Primrose Schools confidence in our ability to operate the system in a multi-unit environment. We believe the award recognizes the positive influence our work has had on the lives of our employees, parent customers, and children entrusted to our care! We are very grateful for this recognition. We have stressed the importance of effective communication as we have moved from single-school ownership to multi-unit operations. What we once took care of ourselves, we now must rely on our staff to accomplish. So we have raised the bar (and our expectations) on developing and using communication tools that assist us in addressing issues before they become problems. Several years ago, our parent surveys indicated there was an unmet need in our market for a private first-grade program. Working with the Primrose Schools education team, we developed and implemented a first-grade program at our Kelliwood school. The program is in great demand and has been very effective at preparing children for success, both academically and socially. Primrose Schools designated it as a School of Innovation, as it is the only school in the system offering a first-grade program. We are committed to developing and maintaining high-trust relationships among our staff, parent customers, and with the children entrusted to our care. This value very much aligns with the mission and vision of Primrose Schools. These high-trust relationships, along with hard work, integrity, and a commitment to continual improvement, have inspired confidence in our business from Primrose Schools and our customers, which in turn has facilitated our growth and recognition. Primrose Schools emphasizes character development and fosters a culture of giving without expectation in its Balanced Learning curriculum. Throughout the year, we use our campuses to serve as hubs for community giving. Students and their families participate in food and clothing drives for charitable organizations, donate countless books for area children in need, collect pet supplies for local shelters, and participate in many other community activities. Every year we raise money for The Children's Fund in Houston and the Primrose Children's Foundation. We also encourage our schools to host community events like blood drives and Girl Scout fundraisers to extend the culture of giving outside school walls. In the aftermath of Hurricane Harvey, each of our schools, without prompting from us, reflected the culture of our business by coming to the aid of the community to assist in rescue and relief efforts. Before we could even get out of our flooded home to assess damage, the management team at our Kelliwood school (who could make their way there) opened the school to receive families by the hundreds as they were rescued from flooded homes. The school, only 200 feet from the floodwaters' edge, served as a staging area for rescued families. It was an experience Michael and I will never forget. We were overwhelmed to see our schools' teams and families mobilize when our community was in need. This went on for days. We were proud of our team and the shared commitment to giving to the community that was evident. First and foremost, we look for leaders who are people of good character. Additionally, we value leaders who are collaborative, have a love for children and families, and have strong communication skills.